At Freedom from Obesity, we remain dedicated to our patients, beginning months before their procedure and continuing long afterward. If you're ready to take this significant step on the road to health and the body you've been waiting for, come see Dr. George Merriman and his staff for the most experienced weight loss surgeon and obesity help serving Texarkana, Texas and Texarkana, Arkansas. Many people think of weight as a cosmetic factor, and see bariatric surgery just as a way to shed pounds. Here, we firmly believe in the physical and mental health benefits of being an appropriate weight, and want to do all we can to help our patients achieve that. This is why we do not just perform the procedure and send you back to your life. Instead, we work closely with you before, during and after your treatment to make certain that you're equipped for the changes it will make. 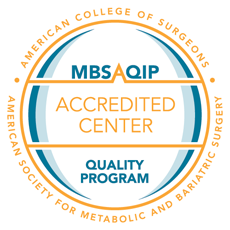 Here we offer lap band surgery, gastric bypass surgery, and vertical sleeve gastrectomy and so much more. You will receive treatment that is tailored to your specific needs, and learn how you can best support the positive results of your surgery. From the advice of a dietician to the socialization of a monthly support group, you will have access to the most experienced and compassionate people in your region. Don't wait another day to free yourself from obesity. When you're ready for gastric banding, bypass or another treatment, come talk to Dr. Merriman. It will be our pleasure to take this next step with you. Call today to set up an appointment serving the Texarkana area!